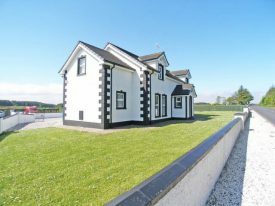 Stunning 7 Bedroom self catering House, and beautiful 2 bedroom self catering cottage at the heart of the North Coast of Northern Ireland, Ballycastle. The whole place, for the whole group. 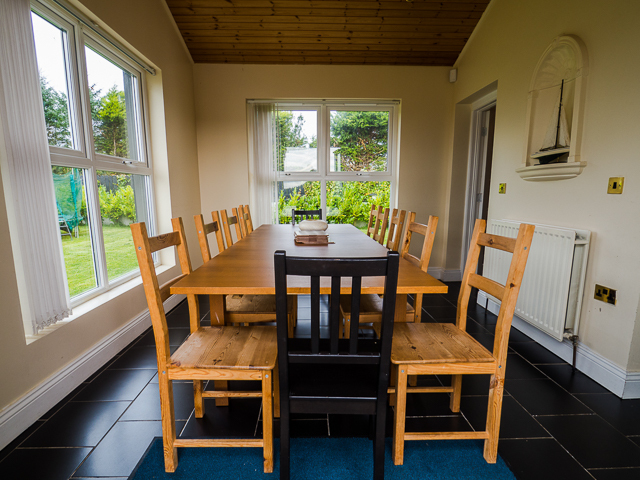 As a professional, family run self catering holiday let, our aim is to provide you with a holiday haven in which to gather your friends and family for those special holidays. We welcome regular gatherings, one-off parties, and sightseeing trips with large groups. 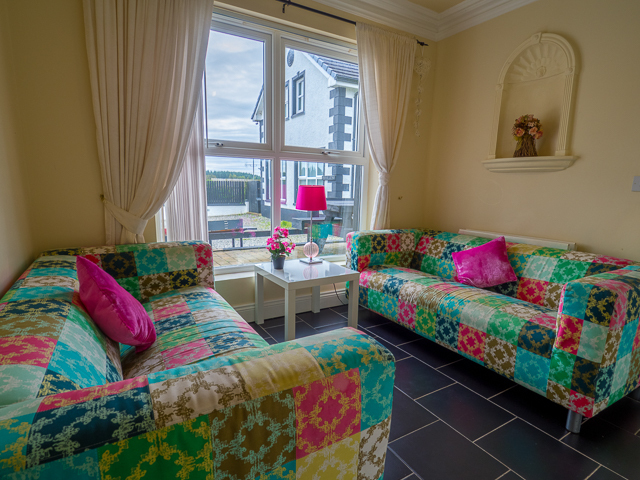 Hen parties regularly enjoy the house and its location, along with Christmas and New Years Eve celebrations. 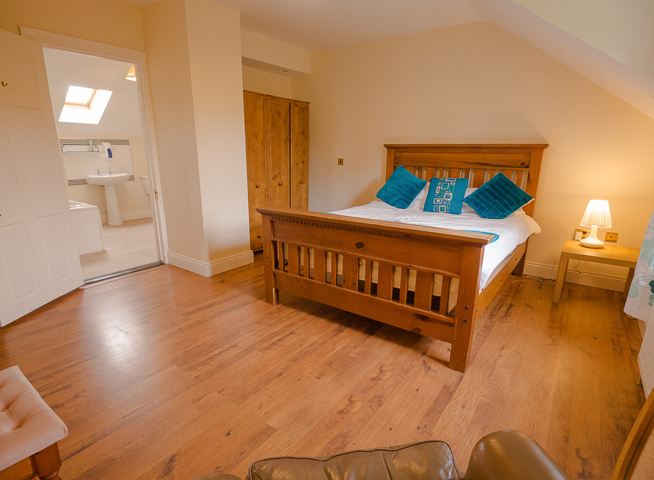 Forestside Cottage is from £79 per night and sleeps up to 7. That's less than £12 per night per person. 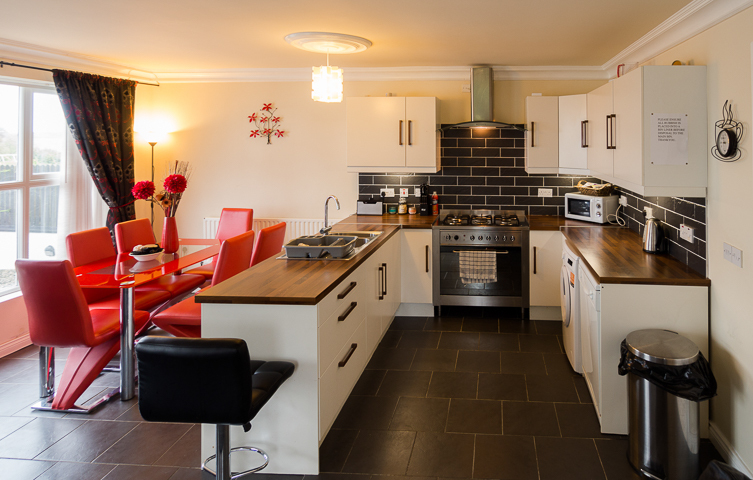 Forestside House has 7 bedrooms and sleeps 16 people. 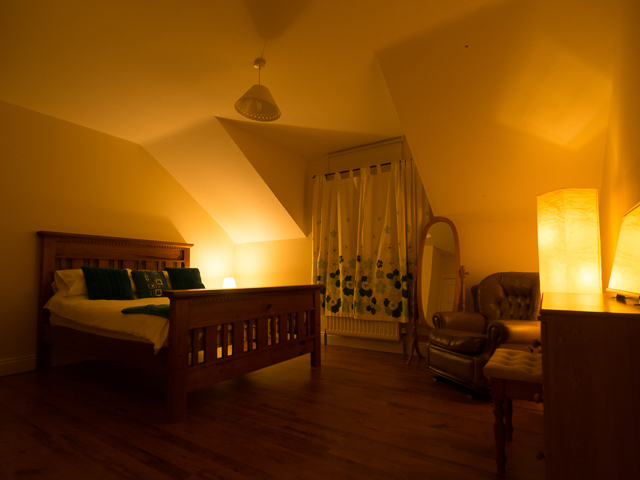 From £250 per night, that's £17 per person; cheaper than a hostel. 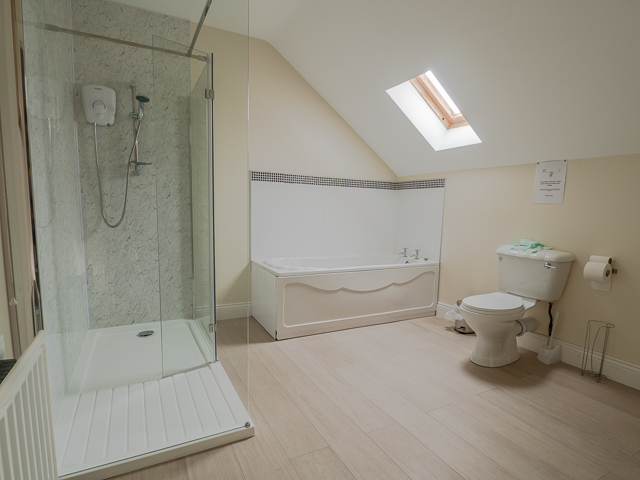 See our virtual tour below. 10 of us stayed here over a week and we couldn't have picked a better place. The kids were straight into the garden which meant us lot could put our feet up whenever we were in. Plenty of things to do nearby and reasonably priced even for families. Absolutely spotless and I'm a clean freak at home!!! Both owners checked us in and even came to see if everything was ok the next morning. They both take real pride in the place and made us feel welcome. We were charged separately for the oil and electricity which suited us as we were out most of the time and didn't want to pay a blanket fee as mentioned. Claire checked us out and was really friendly too, asking what we thought could be improved - nothing! Perfect for families. Definitely booking again for next summer. 16 of us came to watch the North West 200 motorcyle race. We booked here for one night and all 16 of us had plenty of room. All our motorcycles were safely locked away and totally secure. We were going to get taxis to the town which is less than 2 mles away but we were having too good a time on the patio with our own company. Sitting looking out at one of the awesome mountains. Big kitchen with a 5 ring gas hob, micro and george formans sorted us all out in the morning. No rush or push to get us to leave. Manager sat in an adjacent patio area with his feet up having a cup of tea admiring the view with not a care in the world. Our only regret was not booking for a week. Per head it was cheaper than a hostel. Hopefully back in 2018. We booked this place for my friends Engagement party, it was fantastic that we could have everyone stay under the one roof and not have to worry about taxis or trying to meet up at certain times for dinner/ breakfast. it is set on its own private grounds so we could have loud music without bothering anyone. The weather was great too so we were able to go and do the tourist sights which are very close by too. Great communication with the owners and they were very helpful with all my questions and sorted a late check out for us at no extra cost or hassle. Would highly recommend and the town is nearby too for pubs and restaurants. Thanks!! 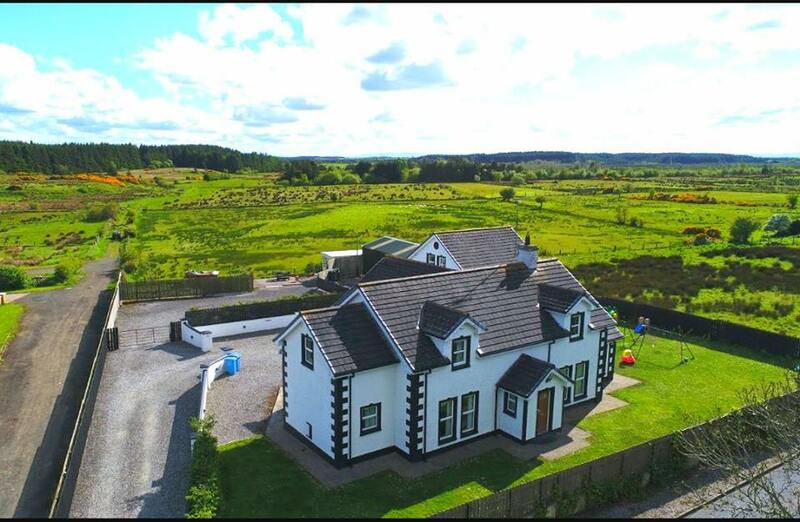 Fantastic, large property situated on the outskirts of Ballycastle. 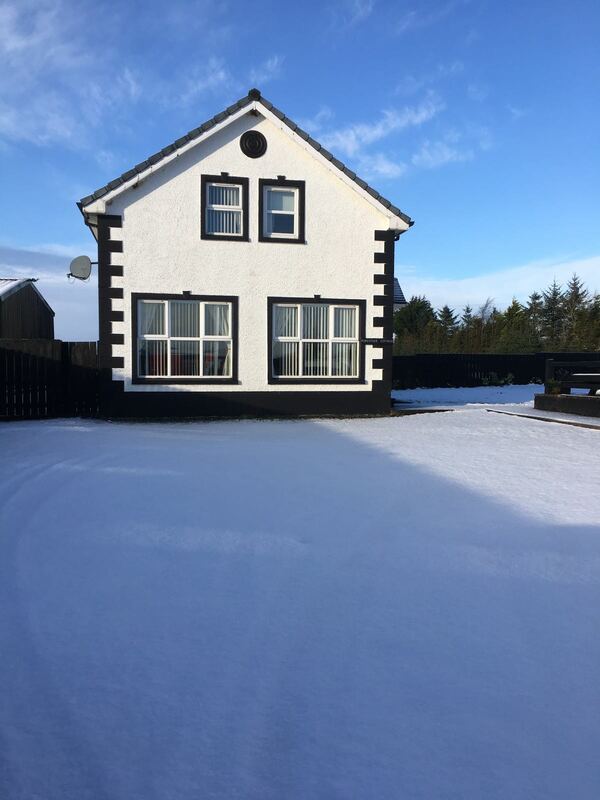 The house easily accommodated myself and 7 friends who were celebrating a significant birthday and wanted somewhere close to Royal Portrush Golf club and the Game of Throne's film locations. Ballycastle itself is great 'wee' town, with a nice beach and harbour and I'd definitely recommend the Central Wine Bar as a place to eat - great food, nice beer, welcoming staff and a great atmosphere. Would book to stay again if visiting the Antrim coast with a large party. We really enjoyed our stay at this accommodation! So much space and everything needed for a group of twelve. We enjoyed cooking dinners in the well-equipped and modern kitchen. We were met by Adam who checked us in and showed us around. 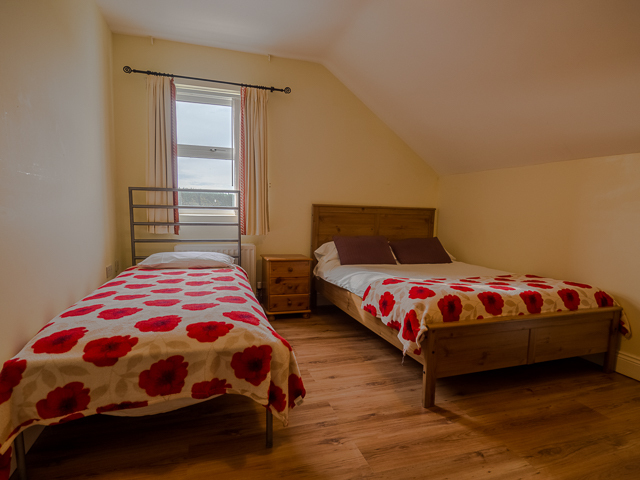 Bedrooms were comfortable, and bathrooms were spotless and in great-working order. At check out (which is done in person), we were asked how the place could be improved and notes were taken - Adam and Lisa clearly care about their guests experience. We would highly recommend this accommodation. 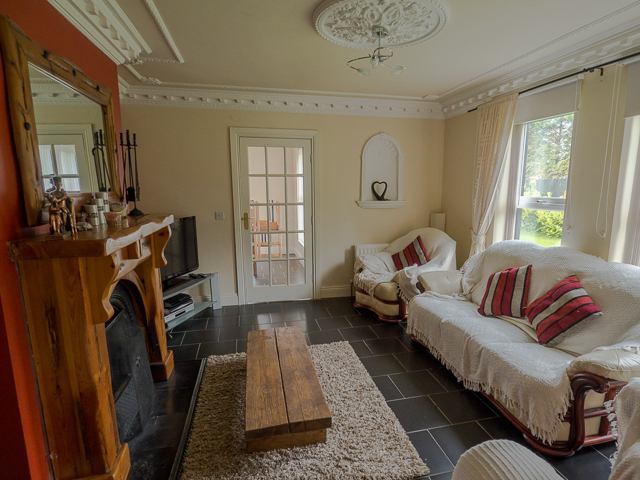 It's one of the best we stayed in during our visit to Ireland. 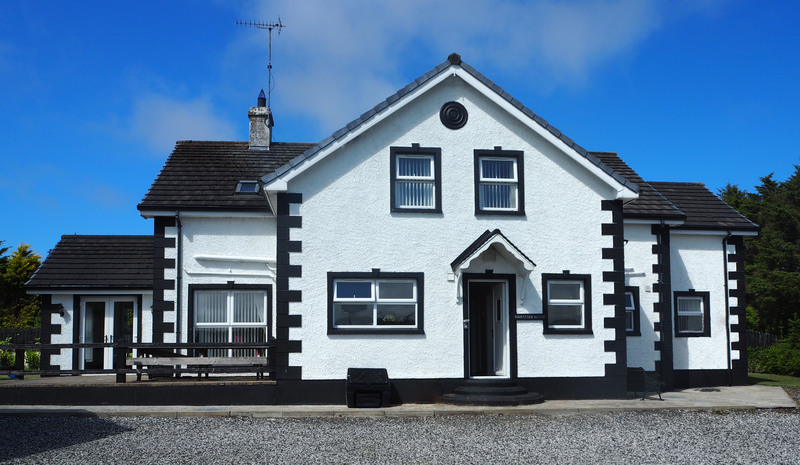 The location is perfect for visiting Giant's Causeway, Carrick-a-Rede Rope Bridge, Bushmills Distillery etc. 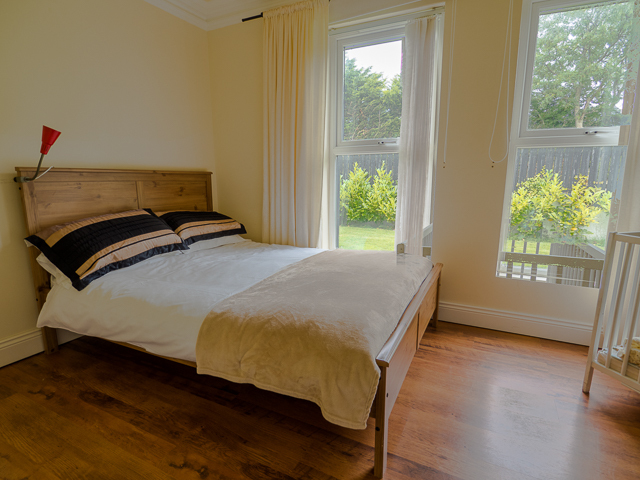 We make your stay as comfortable as possible, providing you with everything that a family Holiday Home needs. We love pets, so for £6 extra per night bring yours along. So much better than a kennel, and far cheaper. A private garden for little and big kids, complete with play equipment and trampoline. There is also a BBQ available for free to use on the patio. The grounds are all fenced too so the family Retriever can have a good run around, stress free. 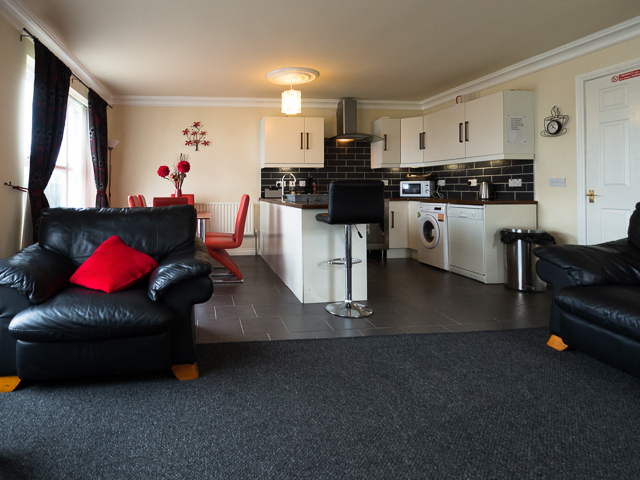 Sky TV, wireless internet, private rooms and even 2 ground floor bedrooms for Nan and Gramps. 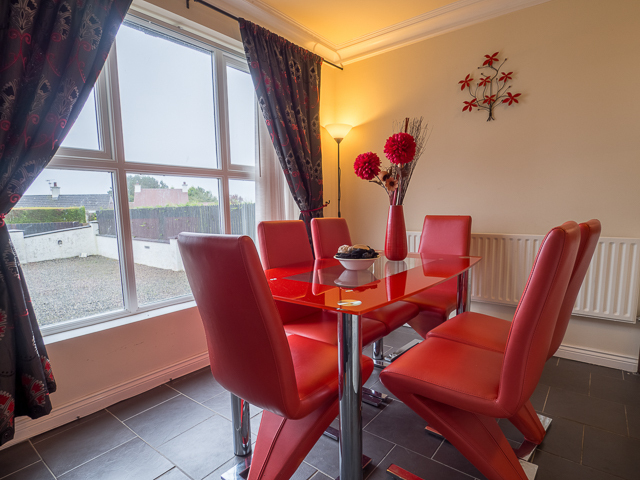 A fully equipped kitchen and dining room to fit the group. 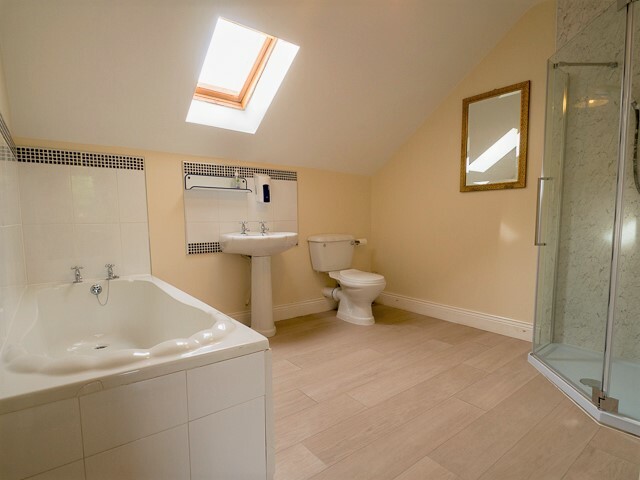 2 x large family bathrooms and 1 x en-suite to avoid that queue for the shower. 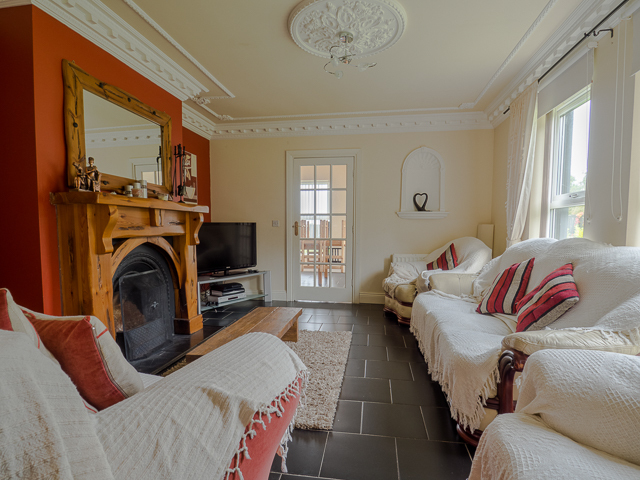 Just 3 miles from Ballycastle (voted Times' 2016 best place to live), a stunning coastal town with all of your needs, the house is accessible from various tourist attractions and Game of Thrones film sites. Voted by The Times as the best place to live in Northern Ireland, this stunning coastal town is a must-visit by locals and tourists alike. Boasting a well-kept beach, traditional and modern restaurants and a proud community. From watersports, through fishing, to tennis and bowls, the area has wide range of activities to take part in, including stunning walks. Check out our socials for whats on in Ballycastle through the year. It would be rude not to mention the Lammas Fair and the North West 200! Steeped in legend, this is a must see across the whole of Ireland. A jewel in the coastal crown. Only a short drive from the house. 'King's Road' from Game of Thrones. Visit the film site and experience the most famous tree tunnel in Europe. One of many GOT sites near the house. Tackle this 20 meter long ropebridge across the rocky crags to see the breathtaking views across to Rathlin Island and Scotland. Anti-Spam quiz: Which is bigger - 2 or 8? Tripadvisor add their own booking fee. So book directly. 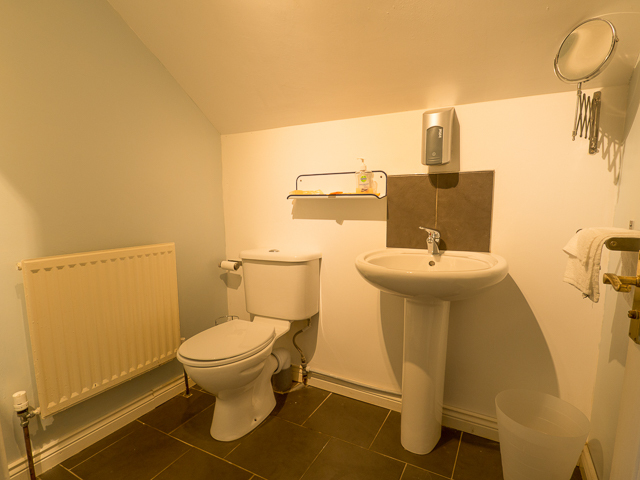 The house and cottage can be booked separately, or together if available. 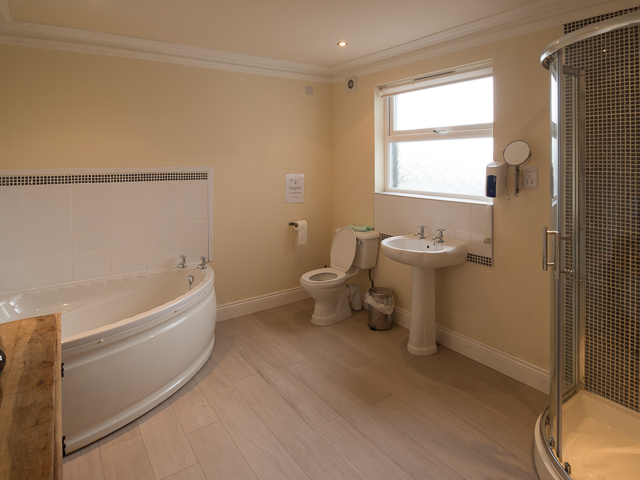 As part of our agreement with NITB (Northern Ireland Tourist Board) we are lowering our environmental footprint. 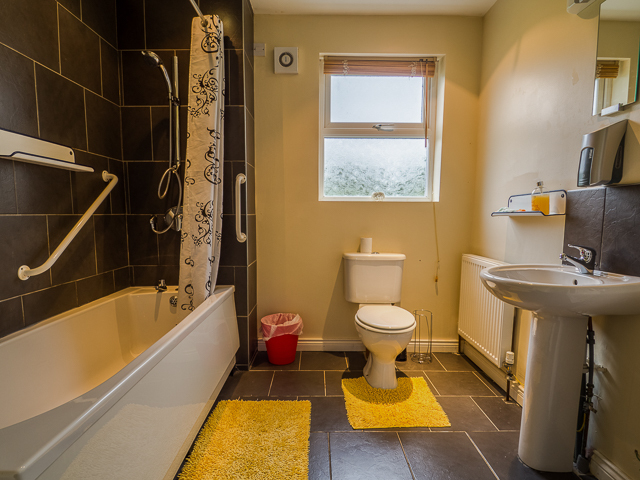 To do this we provide you with only hand towels in each bathroom and encourage guests to bring their own. Also, heating and electricity are metered. Just record on arrival and pay on checkout. It’s at local prices and discourages from needless waste of fuel – just like you would at your own home. For all other details please download our PDF here.